While the definition of a mystery is something secret, concealed or hidden, the etymology of the word reveals something more profound. It comes from an ancient Greek word μυστήριον ‎(mustḗrion) which means “a mystery, a secret, a secret rite”. It was used in the context of the ancient Mystery schools that were designed to teach ancient wisdom and imparted many of the teachings through various secret and sacred rites and ceremonies. This word in turn comes from the word μύστης ‎(mústēs), which means “initiated one”, in turn coming from μυέω ‎(muéō), meaning “I initiate”. "It is the glory of God to conceal a thing; but the glory of kings is to search out a matter." Between the over saturation of information on the internet, and the misunderstandings built by superstitious misguidance, there is a bit of confusion about what mysticism actually is and what it is not. When some people think of mysticism, they think of things like past life regression, Reiki, Tarot card readers and other similar things. However Mysticism is simply the practices and methods of unification with the divine. The goal of Mysticism is to transcend the ordinary conscious states of division and multiplicity towards an experience of Unity and Oneness between the Mystic and the Mystery. All practices including breathing exercises, prayers, meditation etc. are all tools to direct one to that experience. Any involvement in practices or studies including Astrology, Alchemy, Magic etc. are only meant as an aid to the goal of Union, which results in revelation. This is called Theurgy. Energy healing, fortune telling, the use of ceremonial and ritual magic to create change in one's experience in the world... all of these things if directed towards anything but the revelation of the sublime and divine by Union, is not Mysticism by definition. Instead, this is called Thaumaturgy. 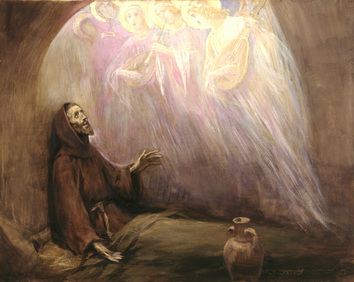 In the beginning many people are brought to the practice of Mysticism in search for its benefits, while others are hesitant because of some of its side effects. Understanding that these are byproducts of the Path can go a long way in clarifying any confusions or misconceptions. You will find that many of the things that are benefits of Mystical practice are packaged and marketed as products or programs, while many of its possible side effects are exaggerated and used as fear propaganda against its practice. Remember that the following are things that can occur as a natural process. They are milestones, indicators or obstacles along the way and not to be taken as the path itself. Likewise the side effects are temporary and meant to be worked through, and can be minimized if the practice is balanced. One of the main tools of the Mystic is the practice of meditation. While there are many different methods within meditation, in its simplest form, it is the practice of turning one's attention and awareness inwards to explore what exists within. While in the beginning what we find is the chaos of constant mental chatter, in time we begin to clear the fog to reveal what hides behind the veils of the mind. 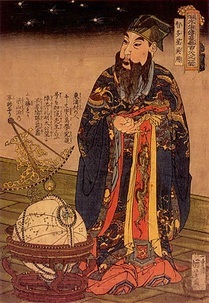 In the ancient world, the term astrologer was synonymous with that of a wise man. Mystics use astrology to work with the cosmic influences to aid in their quest for Union and Revelation. 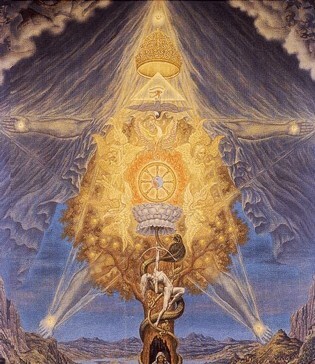 Alchemy is the Art of Transformation and for the Mystic there is no greater transformation than that of consciousness. Steeped in deeply symbolic language, Alchemists studied the evolutionary process of change, calling it the "Operation of the Sun". With this they were able to create what was once called in ancient times "magic potions", which included medicines as well as compounds that had mind altering effects. The ancient practice of Magic is used to open and direct the consciousness of the magician in such a way that it causes a specific effect and/or change. 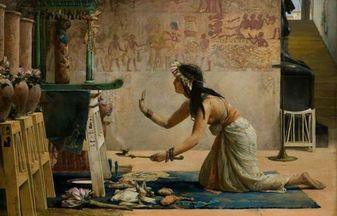 All of the tools and practices of the magic ritual represent a principle, process, or energy current and was used to invoke various spiritual experiences. In High Magic the invocations are used to aid in the process of Union and Revelation by creating specific subjective experiences through the ritual practice.